What is behind this odd divergence? 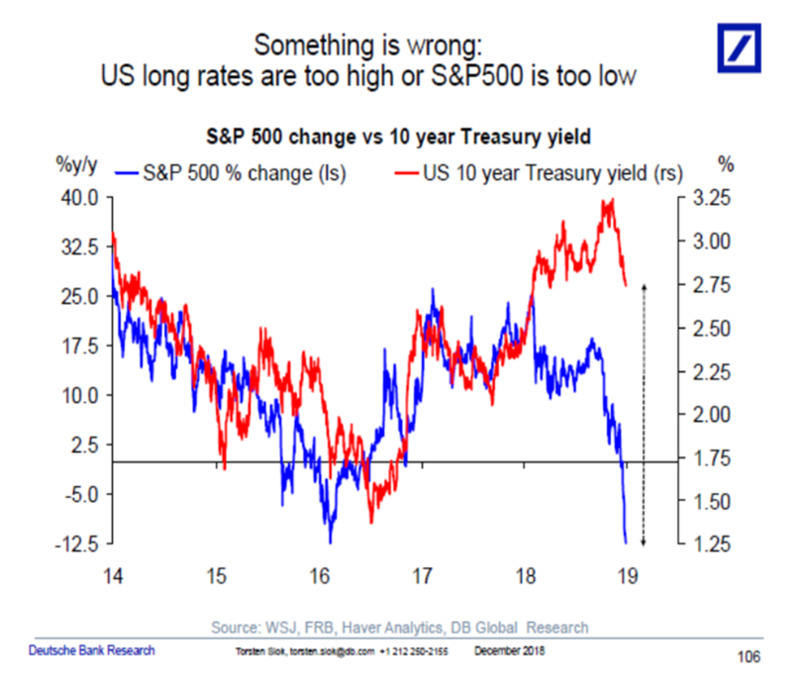 According to Slok, the uncharacteristic weakness in bonds may have taken hold after bond traders began to see a gradual increase in auction sizes after Trump signed off on tax cuts, bringing the reality of trillion-dollar deficits much closer and a surge in bond supply in coming years. That may have pushed bond yields higher this year, when they should have fallen along with equities if their classic relationship had held up. "What happened in January 2018 was that the corporate tax cut had to be financed by a significant increase in Treasury supply, and maybe the reason why long rates remain so high is because the market is beginning to price a U.S. fiscal premium into U.S. government bonds," said Slok. Furthermore, according to Slok anyone expecting this divergence to collapse shortly may be disappointed since the breakdown of the positive correlation between stocks and bond yields may not just be a temporary problem as the federal government is projected to notch annual trillion dollar deficits for a “very long time,” said Slok, prompting traders to demand even higher bond yields in the future regardless if stocks underperform.